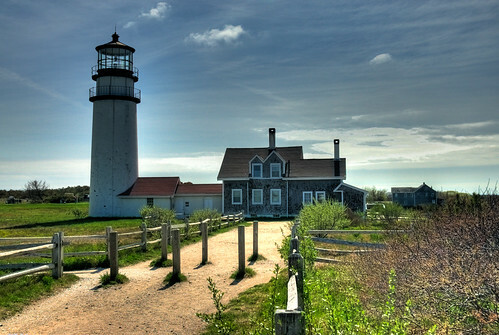 How many Lighthouses are on Cape Cod? There is something so comforting about a lighthouse, the notion of saving the lives of hardworking sailors, fisherman, and travelers on ships. The Cape has many historic lighthouses for visitors to visit. Our favorite is the Highland Light House in North Truro, which sits 100 feet over the sea and has amazing views of the ocean. Several years ago we had a lovely German couple who decided to have their wedding ceremony at our inn and a celebration picnic afterwards in the field next to the light house…how perfect! We once had two sisters stay at Brewster by the Sea Inn and Spa whose main objective during their stay was to get a picture of every lighthouse on the Cape. Happy to report they found all 16 lighthouses!